The funny thing is, the medical community has not standardized the term for this common spinal condition. If you’ve been told you have a herniated disc, a slipped disc, a prolapsed disc, a bulging disc, a ruptured disc or even degenerative disc disease, it’s essentially the same thing. The terminology often depends on who you’re talking to. Technically, a bulging disc occurs when the outermost part of the disc begins to weaken and the inner soft part starts to press outward, creating an outward bulge. When the inside material, called the nucleus pulposus, breaks through the disc’s annulus – the tough outer wall – you have a herniation as the material protrudes through the wall. However, as painful as that sounds, most people never know they have a herniated disc until the herniation touches the nerve. So, yes, you can have a herniated disc and not have pain. 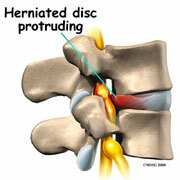 The two most common reasons for a disc to herniate are trauma and muscle imbalances. Muscle imbalances to what are called “postural dysfunctions.” These dysfunctions put abnormal pressure on the disc that will cause increased wear and tear over time. Eventually, the weak spot will give way and make contact with the nerve, bringing you pain. The most important thing to understand about herniated discs is that, barring trauma, they do not happen overnight. You may be come symptomatic very quickly, but it takes a long time for conditions to be right for the nerve to be put under enough pressure to cause pain. What are the symptoms of herniated disc? Complaints range from local pain to radiating pain. Depending on where the herniation is, you may experience arm pain or leg pain. Loss of bowel or bladder control is deemed a medical emergency, so you should get to the emergency room as quickly as possible if either of these things happen to you. What are the most common treatments for herniated discs? Common treatments include cortisone injections, non-steroidal anti-inflammatory drugs (NSAIDs), hot packs, ultrasound, electrical stimulation, and therapeutic exercises. There are more than a handful of surgical procedures for a herniated disc, all of which have two main goals: to take pressure off the nerve and stabilize the joints. Why do traditional herniated disc treatments fail? Most traditional treatments fail because they simply address the symptoms and fail to address the cause of the condition. Your herniated disc is a physical problem, and it requires a physical solution. There are no pills or injections that can create postural balance in your body, which is what is necessary to reduce the pressure on the nerve. Which herniated disc treatments work best? A herniated disc is a very complicated condition and most people get the best results when they combine multiple treatment approaches together. For example, Inversion Therapy can be very effective but it works even better when you also perform Muscle Balance Therapy. Herniated Disc is by far one of the most common conditions associated with chronic back pain and most people get the best results when they combine multiple treatment approaches together. The first step is to make sure you get the very best and most up to date information you can on the condition, including your own experimentation with what you can tolerate and what works best for you. The second step is to find the best experts you can regarding the subject. 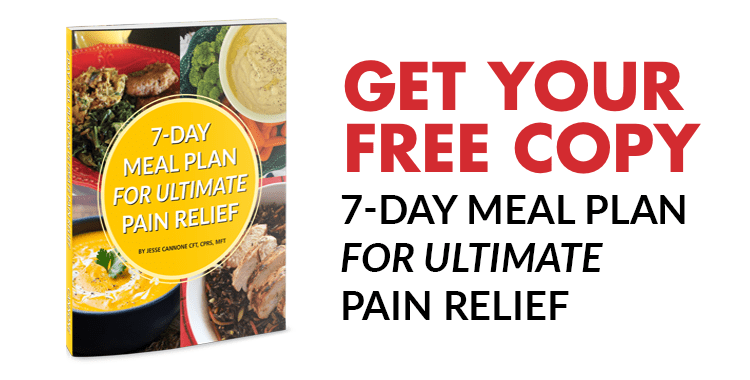 Having a comprehensive plan to control, controlling Oxidative stress and Systemic Inflammation, is vitally important to controlling pain, so here are some considerations to start with are drinking clean water, Proteolytic Enzymes Therapy, changing your eating habits, believing that you will achieve the comfort level you desire and having a spiritual guide can be the basics of your program. Every one with a Herniated Disc has Trigger Points and everyone should have a way to administer self trigger point Therapy everyday to them self, immediately followed by and combine with Muscle Balance Therapy to restore balance and proper function of the muscles and joints. Herniated Disc respond very well to most forms or spinal decompression and Inversion Therapy is a viable option for Herniated Disc suffers based on the many overall healthy benefits it has been shown to help with, just to mention a few improved circulation, stress reduction, improved range of motion. Learn to take time for your self and relax, with the use of far-infrared heat, it can help immensely, it is deep penetrating and dramatically improves the blood flow to the area in question for very quick relief and improved range of motion.